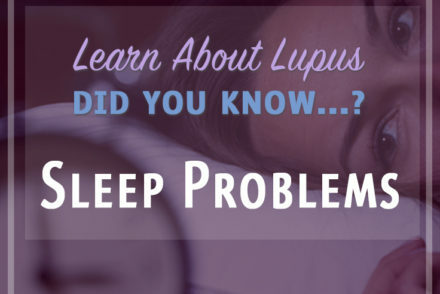 Did you know that people who have Lupus should always get a flu shot? That was a hard one for me to swallow because for most of my life, I avoided them. Mostly because I’ve always been sensitive to just about everything. So, with all the rumors about how flu shots causing cases of the flu and other bad reactions to the shot, I just politely declined whenever my doctors asked if I wanted it. That was until I had the pulmonary embolism in April of 2008. 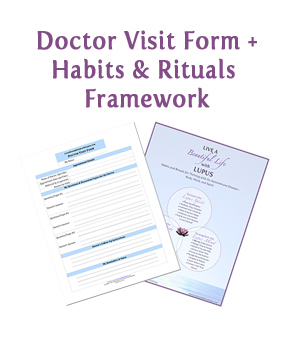 That following September, after shunning yet another offer of a flu shot, I changed my mind. Well, truth be told, the doctor changed my mind for me. She explained all the complications that could happen if I got the flu now that my lungs were so compromised. After planting the seed of fear with her warning, she sent in her nurse, who was a bit intimidating. Even if I’d had second thoughts, I wouldn’t want to mess with her. 🙂 She grabbed my arm and gave me the shot. And, it wasn’t so bad. Thankfully, I had no adverse reactions at all after that first shot. 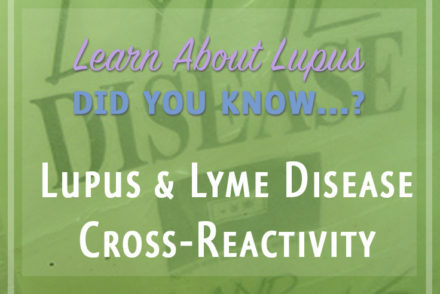 A few years later, after learning that Lupus was to blame for my pulmonary embolism, I learned from Dr. Donald E. Thomas, Jr., author of the Lupus Encyclopedia, that infections are the third leading cause of death in Lupus patients because of our out-of-whack immune systems and because of immunosuppressing drugs. 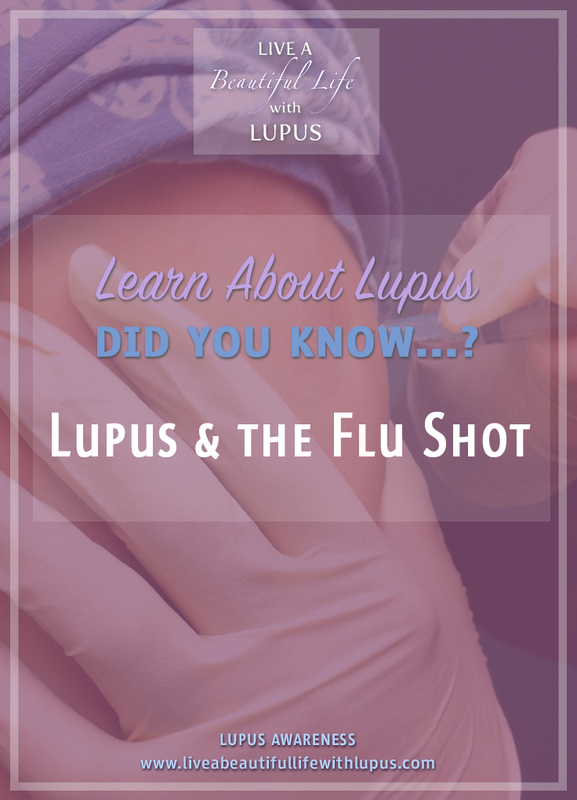 Since the flu is so prevalent in the winter and so contagious, it’s kind of a no-brainer that those of us with Lupus should get the shot to help protect us. Nothing is guaranteed as far as protection or sensitivity reaction, but the odds are better with the shot than without it. I’m grateful for my doctor putting her foot down about the flu shot that year. Since then, I have faithfully gotten my flu shot every fall season. Just for the record, I have yet to get the flu since then. To learn more about the flu shot, the different types, who should and should not get it, and when to get it, see the CDC’s website at http://www.cdc.gov/flu/consumer/vaccinations.htm. Lupus Encyclopedia: A Comprehensive Guide for Patients and Families by Dr. Donald E. Thomas, Jr.
What are your thoughts about the flu shot? 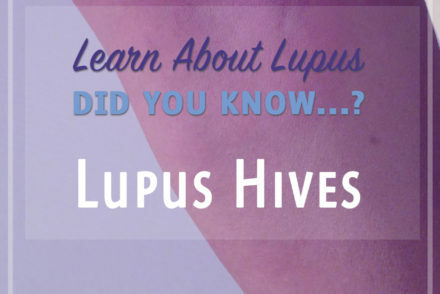 Do you agree that it’s important for us Lupus patients to get one? Please share your story with us. 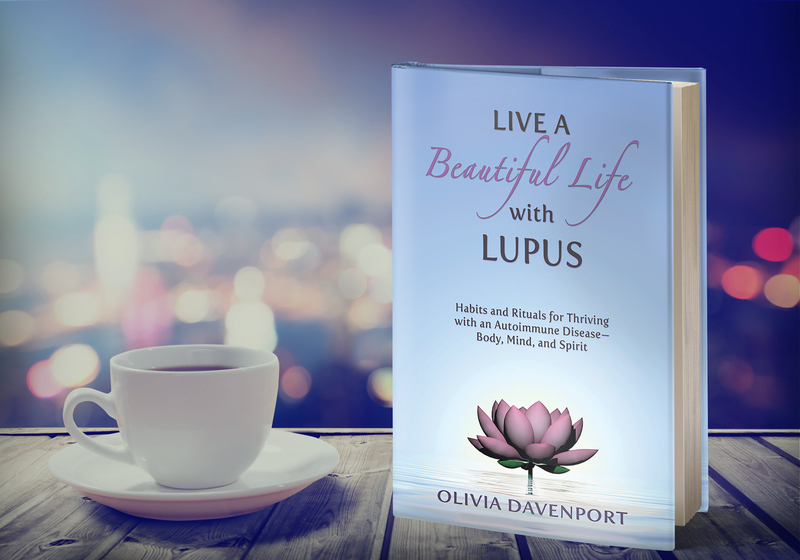 The more we share about our experience with Lupus, the more we know—together….